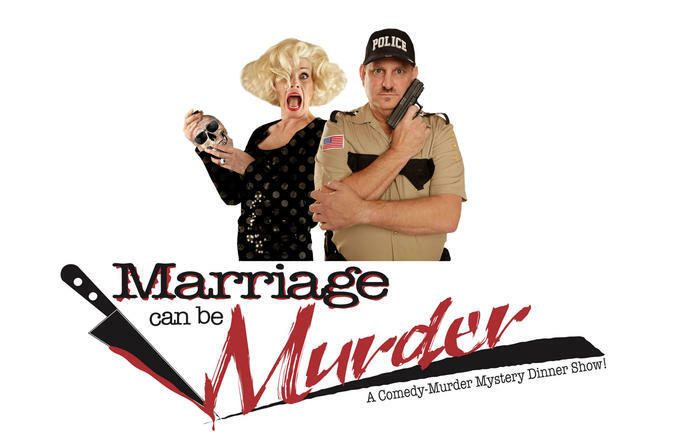 Spend an evening with one of the most hilarious and talented casts in Sin City at the 'Marriage Can Be Murder' dinner show at the D Las Vegas. This interactive comedy show will have you intrigued, laughing and wondering who the murderer is. Enjoy the evening over a gourmet 3-course meal. Head to the D Las Vegas for the most entertaining dinner party you’ve ever attended, at the longest-running dinner show in town. At this 2-hour dinner performance, the actors are sprinkled among the unsuspecting guests, making you part of the hilarious, award-winning show. You’ll laugh throughout the night and enjoy mingling with fellow guests. Sink your teeth into a decadent 3-course meal, consisting of a 'Pre-Killing' appetizer, the 'Main Corpse' and a 'Death by Sugar' dessert. See the Itinerary for a sample menu. Non-alcoholic beverages are also included, and you can upgrade to VIP seating, which comes with one alcoholic beverage. Special Offer - Book and save 10% compared to the local operator's price! - Book Now!